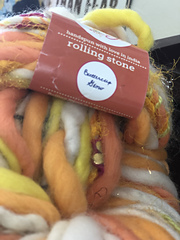 The magical colors, textiles and trims of India are the inspiration behind our Rolling Stone yarns. 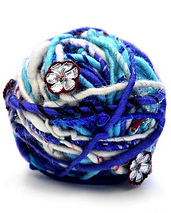 Flower and paisley shaped trims normally found on traditional Indian wedding dress as well as strips of hand printed fabrics from Jaipur are both incorporated into these yarns. 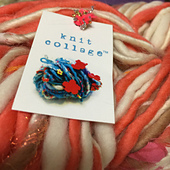 You’ll also find, bits of ribbon, sequins, and sparkling Angelina fibers. 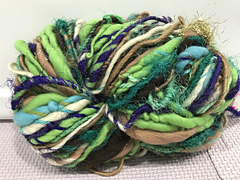 Even though the raw materials are the same, no two skeins are completely alike because of the intense handmade process that goes into each and every skein. 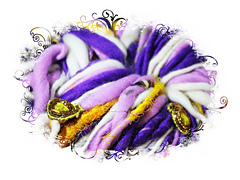 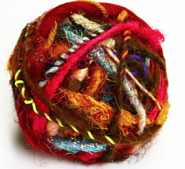 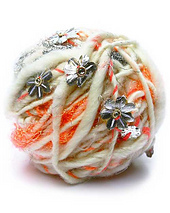 To learn more about the women who spin our yarns, visit our about us page. 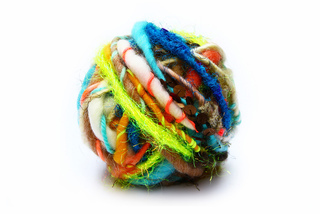 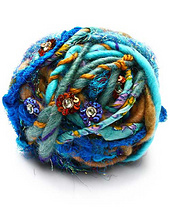 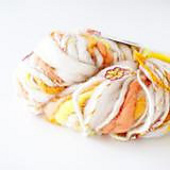 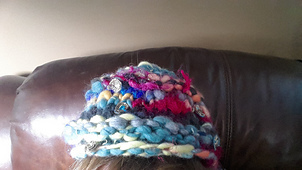 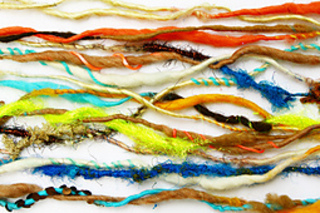 Interested in seeing the inspiration behind this yarn? 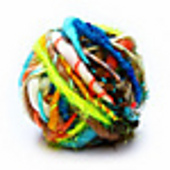 Check out our pinterest page here. 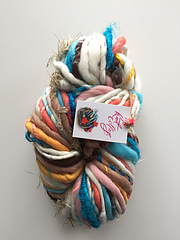 By supporting our business, you support the work of the Indian women that spin our yarns with as well as our women-run, US based small business!